I put address on AVR as 10.0.0.20....I can ping it, but when I open the browser, it can not load the page, what's missing here ? What's missing? A whole load of information. Your wireshark data tells us little - http is tcp not udp. Why don't you tell us what code you are using? My guess is the enc is working, so look elsewhere for the problem. Could the problem be in my computer network setting ? At this rate, we'll be here all night. You could just cut n paste the output of ipconfig. Then you could show us wireshark dumps of the http request. 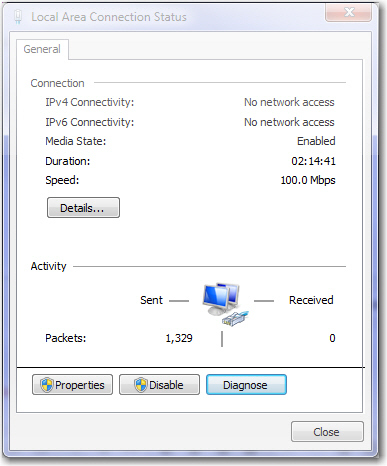 Why is your lan ip address the same as the enc lan address? I'd suggest that might be a problem. No wonder the ping works. Then you could show us wireshark dumps of the http request......................==> how can I do that ?....still wondering.. Sorry, ip support is closed for the night. Suggest you contact Google or read the wireshark manual. Useless. See #13. You cant have you pc ip address the same as the enc ip address. Change one of them. Or else give up. Does cross cable matter ? Does the AVR have any form of debug available (UART, LCD, LEDs, morse code beeps, whatever?). It should be able to tell you if it is "seeing" anything. so if you see this Mac address in the wireshark traffic such as you mention in #23/#24 doesn't that at least prove something? If the detail of what the Mac address has "got out" of the AVR and on to the wires then in some sense it is communicating. However when I download your ENC28J60 packets2.txt in post #22 and search for "54:55" I don't see anything in that traffic using that Mac address? Remember that TCP on IP on Ethernet are layers of the OSI 7 layer networking model. I would explore the communication at every level from the electrical signalling (scope) upwards to see at which layers the connection seems to be made and at which it might be broken. Wireshark will help you with the higher layers but you want to start at the bottom and for example just verify that Ethernet packets are making it from one Mac address to the other. Worry about the IP and TCP and anything else above these later - if the low level comms does not work nothing above it that relies on it will either. Isn't life a whole lot less complicated with a WIZ812MJ ? ;-) The only real reason for messing about either ENC28J60's and the like is when you are looking at bulk quantities in mass produced devices. If this is just some one-off project experimentation I would stick to the easy to use solutions. Any other clues guys ? Reply from 10.0.0.3: Destination host unreachable. // The CLKRDY does not work. See Rev. B4 Silicon Errata point. Just wait. The enc28j60 is rather sensitive to spi speed. This is all documented, but you do have to make an effort to find it. Start debugging! What speed do u reckon fclk÷8? How should I know? You haven't told me what your fclk is. I think you need to spend some time with yourself and work through the problem rather than ask questions we can't answer because you can't be bothered. But it was working with this setting with different board?? but I need it to be connected on 10.0.0.20, which is LAN, how can I move it ? Doesn't that make the question obvious? "What was the difference between that board and this?" Yes but clearly there are some other electrical difference otherwise the same code with the same chip would work identically. If you haven't changed the code it must be something in the electronics that is different. Find out what that is and change it back and the thing WILL work. How many beards do you have? Is it possible that my network setting isn't right, because I can see "Unidentified network" on my computer....?? Just for once in your life try to approach this like an engineer and apply an engineering technique to it. As I say you have two circuits. With the same code one works. the other doesn't. That says that there's some electrical difference so you get out you electrical difference investigation tools (multimeter, logic probe, oscilloscope, logic analyser, LED+resistor, etc) and you probe each circuit while they attempt to do the same thing and analyse what is different between one and the other. When you find that difference you should be very close to finding the reason why one of them is not working. Presumably there's a wire loose/misplaced or a solder bridge missing or a dry joint or a track broken or something? But the enc28j60 only does 10mbit. So you are traying to connect from your Windows PC to two different boards both using an ENC28j60. Now, from your own investigation (this in itself may be the wrong wording for your way of troubleshooting) one board is working while the other does not. Why in heaven are you then concluding that the error resides within your Windows PC? Because I changed my ip setting for something else and I have reset it..